Join us for a shipboard experience you will remember for all of your life. Nothing will prepare you for the amazing sensation of being on the Clipper City…158’ long, with masts rising 120’ off the deck. 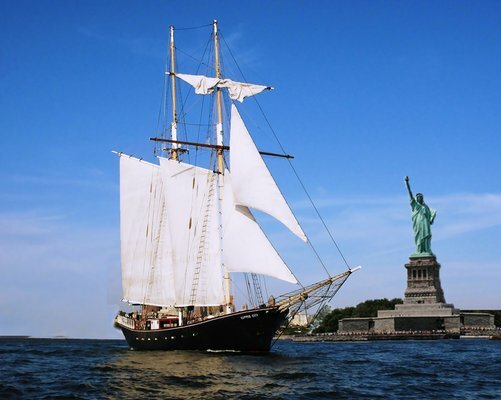 Enjoy stunning close up views of the Brooklyn Bridge, the Statue of Liberty and the Manhattan skyline. The traditionally rigged Clipper City is a steel replica of the Clipper ships that dominated the coastal trade in the US during the 1800’s. Clipper City boasts a full cash bar.